Washo market is counted as one of the three major markets of Hokkaido. Within the market there are 52 shops including fruit shops, souvenir shops and specialty shops of fresh fish and processed fish products. Located in this port town, the freshness and quality of fish and shellfish are exceptional! Because local people are using it every day, you can be sure it is a place with reasonable prices. 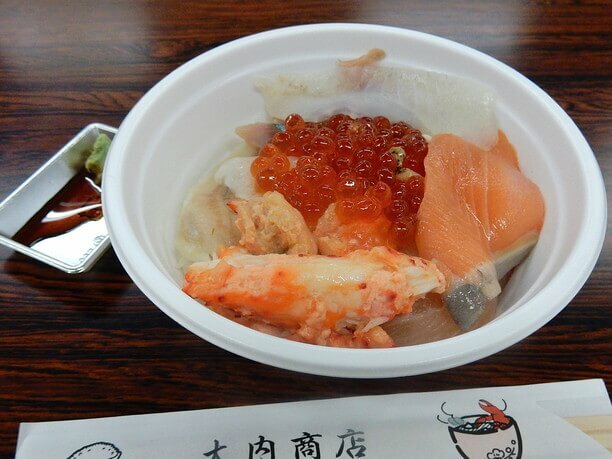 The specialty of the market is their “Katte bowl.” It is a collection of seafood of your own choosing. 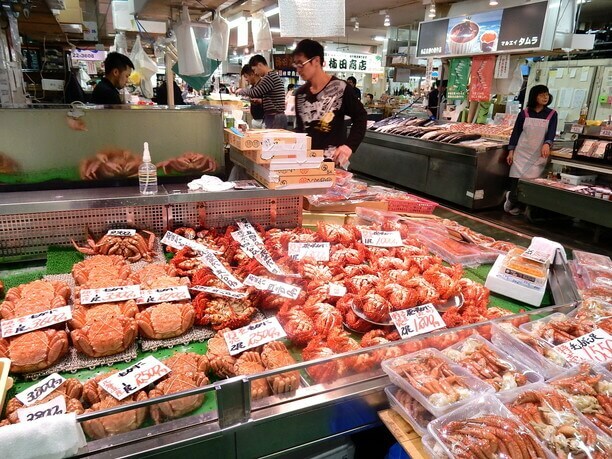 At the market you can buy plenty of souvenirs such as seafood from Kushiro. 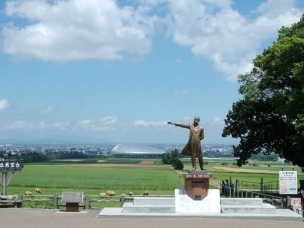 It is definitely a spot where you can enjoy various things. 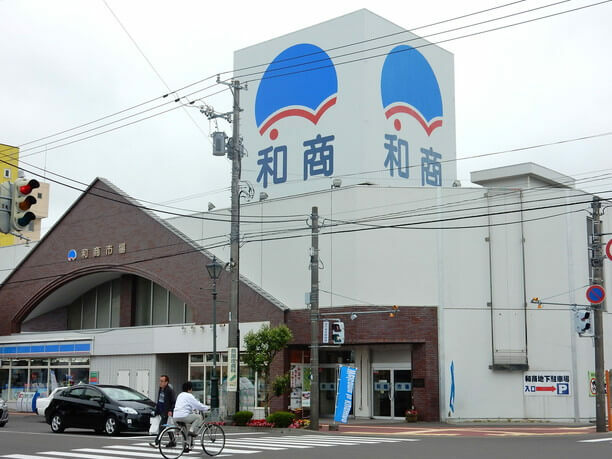 The Kushiro Washo Market is located 5 minutes on foot from Kushiro Station and is considered the most historical market in the city. It began over 60 years ago! It began as a place where citizens gathered when seeking food. It was a convenient place to get fish and other items that came up from the port. 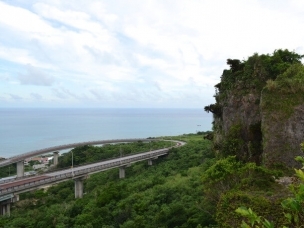 There is also good access from the station, and is a popular spot where many tourists visit. With its heart-warming service the vibrant Washo market is one of the sightseeing spots you will want to experience if you visit Kushiro. This lively village of the eastern seas is slick! More than half of the stores in the market are specialty stores dealing with marine products. 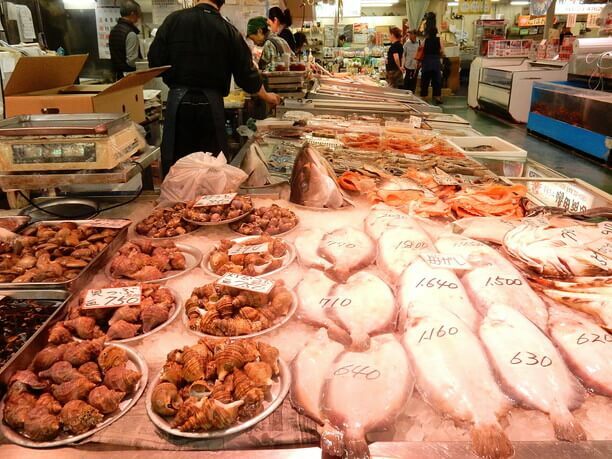 Seasonal fresh produce and other sea products from Kushiro are lined up within the shop’s narrow stalls. Not only fresh fish, they also have homemade dried fish, dried goods, processed goods, etc.. 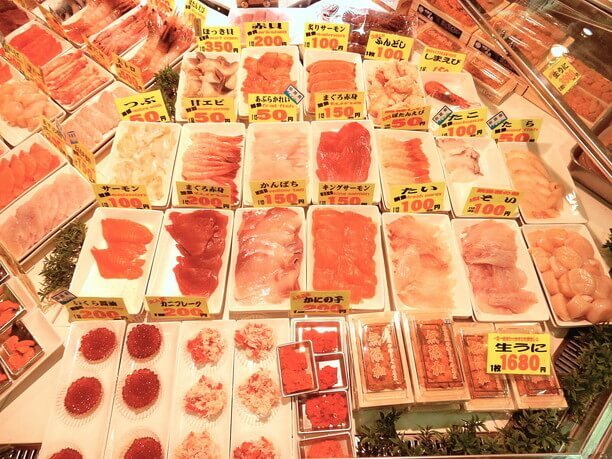 There are also many kinds of seafood from Kyoto, mainly from Koto. People in the shop will be able to tell you how to prepare and eat the fish. There are also souvenir shops dealing with restaurants and sweets. Also don’t worry if you buy a lot. 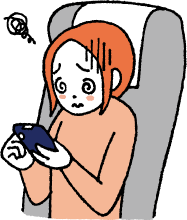 You can have your packages shipped by courier. There are numerous services that allow you to eat your fresh fish selections immediately! One of the key characteristics of the Washo market is that there are many services where you can taste the seafood immediately on the spot. The best example of that is the ”Katte bowl.” With these bowls you can choose your favorite seafood from the shops. You can make something that matches your mood and price as well. Also, there are dining halls that cook the seafood that you bring in. The Washo market is a pleasant market where you can enjoy shopping and eating! 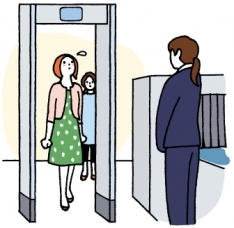 * Depending on the store · season, it may not be possible to correspond because the opening hours are different. For details, please contact each store.